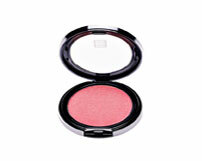 Very easy to apply, soft velvety finish that enhances without caking. Easily buildable intensity by preference and long lasting. Contains vitamins & powerful anti-oxidants which protects and conditions sensitive skin. Available in radiant or matte.